It’s been estimated that an average non-voice mobile use in the USA will rise to past 3 hours a day by 2016. Mobile devices have become an interconnected part of our lives for both work and leisure, and anywhere in between. Work goes where we go, from a breakfast table to a morning commute, from office desk to a lunch break, and from an evening correspondence to after-hours surfing and brainstorming. Empowering mobile technologies shift our definitions of a workday and how work tasks should be organized and conducted. While it may be challenging to design complex web application processes for mobile use, it is absolutely empowering for our web application development clients to be able to manage their customer data and content with mobile devices. Designing user interfaces for mobile requires special UX planning in order to establish a system network that is user-intuitive and simple to use. Data tables need to fit to mobile screens; content needs to be formatted in an attractive way; user needs to be able to track and manage data without losing track of the flow. To accomplish all this it becomes quickly clear that mobile development shouldn’t be an after thought. Over the years, Interaria has gained valuable experience in designing and developing interfaces and applications for mobile platforms. Below is a breakdown of some of our application feature experience for mobile. We are referring to our web application work for mobile that is fully custom coded by our web and mobile software development team by using PHP, MySQL and HTML5 codes mainly in jQuery frameworks. Interaria has designed User Account systems for mobile. Users are able to login to the My Account on a mobile specific platform and manage all of their My Account data specifically formatted for mobile device use. Users can conduct and enter in survey response information even when off-line (not connected to internet). We developed this iPad app specifically for medical rep use. To learn about our iOS Development, please click here. The bottom line: Interaria’s custom web applications integrate with mobile platforms. We specifically design and develop mobile optimized user interfaces for all streaming data driven content. We understand that our business clients and their end-users are not tied to their office desks, and that even challenging data tasks need to get done beyond the traditional definition of business hours. Looking for robust iOS mobile app development? Interaria works with business clients that instead of or on top of signing up for mobile website development would like to have an iOS app developed, submitted and approved to the Apple’s App store for download. To be qualified as an iOS App the developed mobile app needs to go through an Apple review process and meet Apple’s review guidelines. One of Apple’s standards for iOS apps is that the submitted app is required to utilize unique iOS specific features that cannot be simply accomplished by using HTML5 technologies and streamed as mobile web. These features should not only be iOS specific but they should also be core features for the app. Some iOS features that Apple may consider iOS specific are import to iOS address book feature, integration with an Apple map, integration with an iOS calendar, integration with Apple phonebook contacts, and 3D touch functionalities for iPhone6 and 6S. In short, Apple is looking to approve apps that are unique by their concept and that cannot be reproduced as mobile web apps. Interaria has developed several iOS apps for a social networking company, and is very familiar with Apple’s review process and guidelines. We can make the best industry recommendations for your company and develop feature rich iOS apps that get approved. We make sure that the core idea for interactivity, functionality and features for your business iOS app is strong and that the mobile app utilizes iOS specific features for a quick and hassle-free approval at the Apple’s app store. We are also familiar with the Apple’s enterprise program and its guidelines for iOS apps that are targeted for internal business use. Greetings form our mobile app development team! We’ve been busy this early fall working for our social networking client on various mobile app features. We are excited to announce that Interaria is now offering Apple Watch App development services. We recently developed an Apple Watch App for our client for social networking. The users who have downloaded the app are able to receive Apple Watch notifications from their group to their Apple Watch. We’d be happy to demonstrate for you our previous iOS development experience and talk to you how we can boost your company’s edge with new cutting edge app solutions. If you’d like to learn more about our Apple Watch app development capabilities, please contact Interaria, a member of the iOS Developer Program and an Apple Watch App developer in Dallas, at 214-909-3900. Interaria develops custom Web and mobile applications on PHP/MySQL database platform. PHP/MySQL is one of the leading dynamic programming languages for developing database driven content rich Web and mobile sites and Web applications. PHP and MySQL are open source programming languages which means that thousands of PHP/MySQL code developers and engineers worldwide contribute to the development of the language, making it richer, more adaptable and more dynamic than any other database coding language combinations. The Interaria Application Development Framework is a custom PHP/MySQL code library developed by the Interaria team for building database driven web and mobile applications that interact with a content management system. Because we have developed a suite of PHP/MySQL codes we can tackle with custom developing new features faster while making sure that the these features are developed on a solid foundation. PHP/MySQL web and mobile app development is our core company expertise. Don’t hesitate to contact us to look into our latest development work and to discuss your development project. Content has been declared to be the king of the highly searchable web and mobile media. Content drives search results; content brings web and mobile traffic. New content increases frequent visits and customer loyalty. Original content builds up authority positions and differentiates in a saturated market place. Whatever the reasons for web and mobile content, it is our job to support our clients web and mobile media goals by delivering custom content management solutions tailored to their specific needs and demands. We’ve been developing content management systems on a PHP/MySQL platform since 2008. Our content management systems not only support text and image management but they also integrate with our custom developed PHP/MySQL web applications for special content uploading. We utilize our web application design and development for reducing errors and streamlining content upload processes for special content structures and feature requirements. For instance, rather than posting documents via a text editor system we can create a custom web application with custom interfaces for each content increment such as document name, document class, document type, link, keywords and so on. For the increasing number of clients benefiting from a mobile site and/or mobile app we make sure that all of their media content streams from the same source minimizing any needs for uploading the same content twice or maintaining two different platforms. With efficient content management systems in place, content creation can be systemized for fast and easy workflows. User experience design is fascinating because it deals with both objective and subjective experiences. On an objective level, typically from the technical standpoint, a feature on the web and mobile might be functioning properly. However, if users encounter trouble using the feature, or even locating it, we can argue that the system can be regarded broken. Who is a typical user of the web and mobile site / feature? How much time do they spend on the site? How frequently do they visit the site? Is there any time for a learning curve? What is threshold of a visitor leaving the page or site? What is the most wanted action that takes place on the site? When specking new features, we want to make sure that the target users have been properly heard; and that they have given feedback on the type of features they find valuable. Increasingly the web and mobile experience is so much more than a traditional one-way interaction (such as navigating through web pages and using a contact form): More and more sites and apps are built on the staple of member exclusive features that typically require registration and a user account creation. User experience design is crucially important in these extensive web application rich user interactive web and mobile sites; users need to be able to understand the site’s purpose and its key functionalities, use them without errors, and ideally enjoy the process. User experience design is not exact science. User experience is something that can be improved and honed, over and over again. The more time we can have to hone the interfaces and user flows, the better the results. The more feedback and observations we can receive from the actual users (and/or focus groups), the better the results. The goal of user experience design is simple: Improve usability of web and mobile interfaces. Minimize user errors. Maximize desirable outcomes. In short: Create pleasant user experiences. In many ways designing requires skillful listening; sometimes it is not that easy to express what one wants or likes, we often know better what we don’t like. And on the other hand, in cases where the client regards that they know exactly what they want, it is our job to test these ideas and make sure that the creative direction is indeed final. Sometimes things get nailed down faster; sometimes ideas and directions shift and the process takes more time. Ideally we recommend giving enough time for the design process in order to make sure that the design files will settle in and that our client feels connected and committed to them. Ultimately, we regard it as our responsibility to work towards a professional web and mobile media design in the framework of requested direction and feedback. Our ten+ years in business has thought us a lot how to be sensitive to our clients’ comments while neither overburdening them with requested tasks nor overrunning their views and requests. What does a typical design process for web and mobile look like? Below is a flow sample of how a typical web and mobile design process might go about. When working with our client we request feedback and approval on each step before moving forward with the code production process. We listen to the client carefully and identify goals for the web and mobile presence. Together we go through existing identity design elements, likes and dislikes. Sometimes certain identity elements can be taken literally to web and mobile, and sometimes they need a certain degree of interpretation. Together we identify, and analyze/strategize the client’s brand identity and market positioning. Together we go through web and mobile samples of relevant competition. Together we identify different style options and web and mobile layouts that resonate with the client. Together we form a preliminary site map and feature set plan for the site development. We provide the client with first layout ideas; focus on the feel and primary identity elements. We provide the client with a basic wire framing of the navigation structure. We illustrate and/or wire-framing the roadmap for a user-experience road-map. Please note: regarding on the scale of required dynamic features – such as a registration system, an online product catalog system, an ordering and customer check-out system, My Account features – this workload often exceeds the timeline of a standard web or mobile design process. We provide the client ideas with user engagement with call-to-action areas and optimal site layout. We revise designs, layouts and wireframes according to feedback. We test the designs against provided content. We imagine what future content might look like. We make sure that the design files are to be coded according to the plan. We adjust fonts, visuals and identity elements according to the real-life rendering on different browsers and mobile platforms. We adjust and improve the user experience flow according to real-life testing results. Interaria has walked through these steps many times in the past, and we know how to guide the conversation, structure deliverables and provide results. By breaking the design process into tasks, the process can feel enjoyable. We’ve been working on some very interesting mobile platform projects recently; below are some details about what we’ve been up to. Task: Interaria was recently contacted by an international medical company who needed a portable and scalable solution for collecting and processing medical data. The system was to be exclusively used internally requiring user accounts and a secure login and management platform. Technology Solution: We identified a need for an HTML5 based iPad web application that the users can access even when off-line, and not connected to a WiFi network. 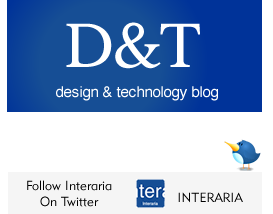 Technology Details: Interaria developed an HTML5 based iPad web application integrated with a native iOS code. In other words, we developed a hybrid HTML5 iOS app where the core of the app loads from a web server but utilizes some of the nice features of an iOS app such as push notifications and GPS enabled mapping. Our solution was a hybrid app developed with both the HTML5 code and iOS codes. 1) Quick changes. We can make quick changes to the app for the client without each time needing to re/submit the app to the Apple’s App Store for a review and approval process. This saves our client significant time. 2) Privacy of the app. Not needing to submit the app to a review process at the Apple’s App Store ensures the app stays private. 3) No re-installations. In most cases, once installed, the end-user will not need to update or reinstall the app when the app has been updated/upgraded with new features. 4) Off-line functionality. The client’s users can access and use the app even when off-line. This technology improves critical usability in case of internet connection/ WiFi network being down due to a geographically remote area or unreliable area for WiFi (such as parking garages, basements, hospitals). If data is recorded within the app while the device is offline, upon re/establishing a connection to the server, data will seamlessly sync. The bottom line: When do we recommend using html5 mobile web app over a fully native iOS app? In situations where we want to avoid using Apple’s App Store distribution system, such as when an app is developed for private and exclusive use, and for when a client has a critical/short timeline for app’s launch. Task: For the last couple of years (and still continuing) the Interaria team has been developing mobile solutions for a social networking company. Developed features: Timeline based feed of private content. Members can read and create posts relevant to their community. Members have an option to add comments to posts, and save them to their account. Members can join and organize subgroups. Native mobile push and email notifications are sent according to the user’s preferences. The community network’s administrator has a full dashboard of features to monitor and manage the usage of the networking system. – Mobile web platform (native HTML5 mobile web app). We continue developing and maintaining the mobile app systems by developing new features and launching system upgrades. Interaria continues to offer mobile site development along with website development. Our mobile web sites stream from the same content management system that is used for the dynamic web content. This minimizes any extra work for maintaining two platforms. As Google is now putting a special emphasis on mobile specific search results, we highly recommend investing on a mobile web site if your company is considering developing a new website. Not only does the mobile site cater an unavoidable and increasingly large user base of visitors but it also guarantees that mobile users making searches on Google will reach your valuable content. The Interaria team is very excited about providing the most applicable and fully customized solutions for the mobile platform experience. More details and a private tour are available by request. If your company is looking for a mobile solution, please don’t hesitate to contact us at 214-909-3900. © 2015. Interaria. All rights reserved.